Do you want to energize your people? Touch people’s hearts and minds? Equip them with new skills? Fuel individual learning and growth? Host an in-house change event. Be inspired by this website. Are you in charge for driving change in your organisation? Change Days offers you the opportunity to sketch out a design for a large change conference in a few minutes. Choose from more than 50 tested workshops and create your own unique learning journey theme. Or ask our team to create an event customised to your needs. We bring to your organisation an exceptional cast of change facilitators delivering highly dynamic, engaging and creative workshops, while also drastically simplifying the planning and design process for large in-house events. With our Event Designer you can quickly develop a draft design. Let us do the rest! Do you want to strengthen in-house change-capacity? Recognise and empower your own talent! We’ll help you identify and prepare potential facilitators from within your own organisation, weaving the experience and knowledge of your own team into your event. Our team will be there to help you design an unforgettable and transformational event. Our approach is adaptable & inclusive for variations in learning styles, experiential through our highly interactive approach to workshops, tested and assessed by more than 1000 people so far. 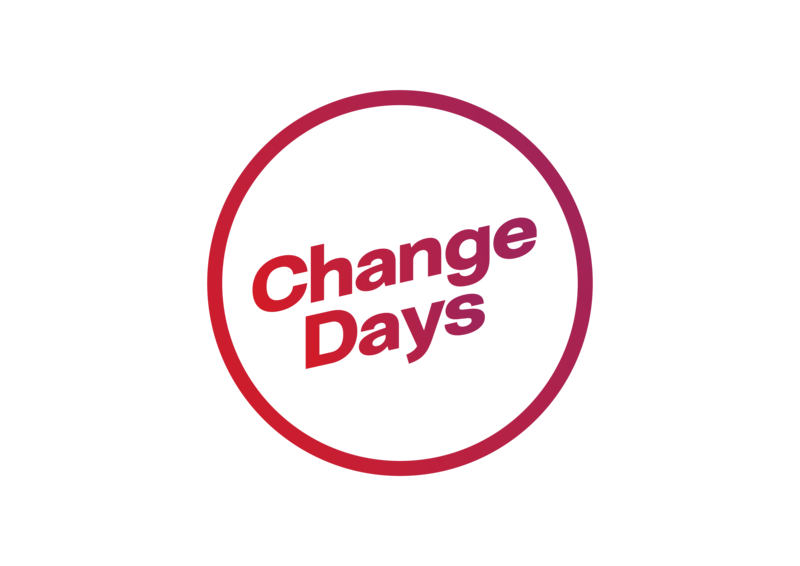 Change Days is an exciting, dynamic, community building and fun learning experience! Multi-lingual and global, we can offer our support on different continents.